San Mateo County’s continued hot housing market reflects the incredibly strong full employment economy that the Bay Area and the U.S. is experiencing. Not only is unemployment in San Mateo County historically low (3.2%), but also the number of employees who are involuntarily part-time is falling and older workers are remaining in the work force longer. The impact of this very healthy jobs data is twofold: continued strong demand for our high-priced San Mateo County housing; and fewer older workers retiring and moving away from the Peninsula. In fact, the number of homes newly listed for sale year-to-date is 4.1% lower than in 2016, and the lowest number in a decade. That combination of strong demand and fewer homes coming on the market led to the median sold price for single family homes rising to its highest level on record, $1,475,000, in April. That’s 13.5% higher than April, 2016. 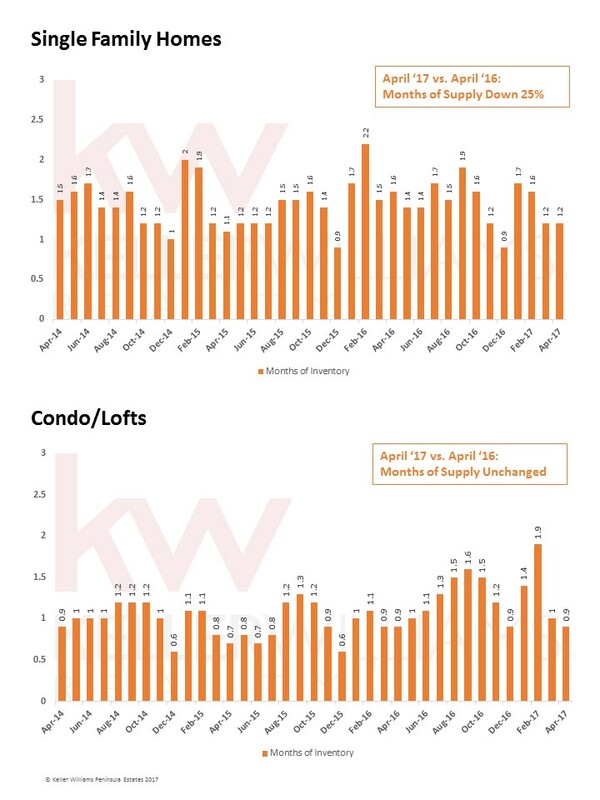 The resale condo/townhome market is also exceptionally competitive with just 0.9 months of inventory available, the lowest in a year. 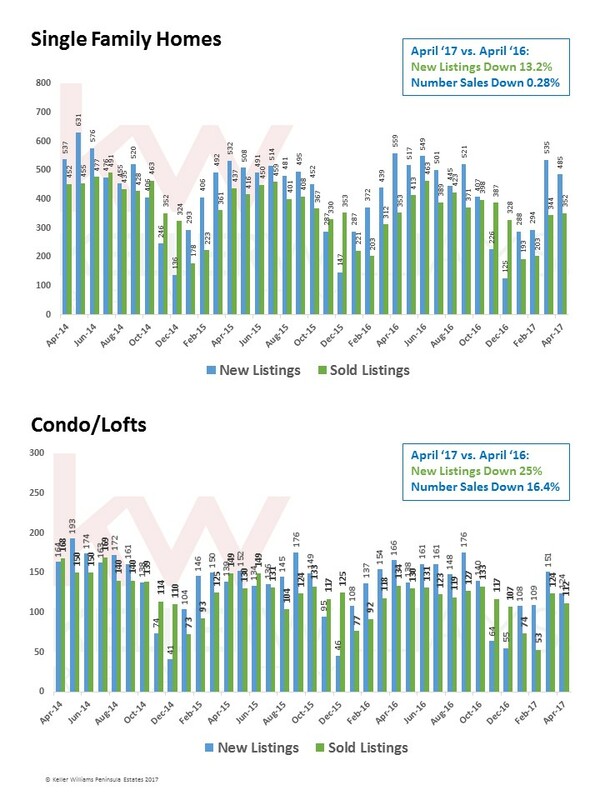 The number of new condo/townhome listings coming on the market in April is 25.3% lower than last April, and down 16% year-to-date. Prices have bounced around a bit, up one month and down the next. 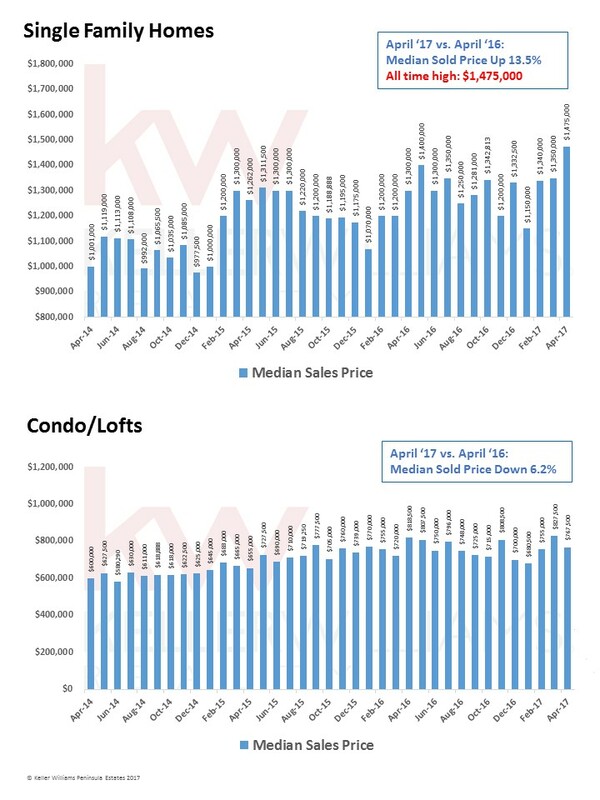 April’s median sold price, $767,000, was down 6.2% from April, 2016. Competition among buyers is fierce, with most properties still receiving multiple offers. For single family homes, the median percentage overbid was 104%. 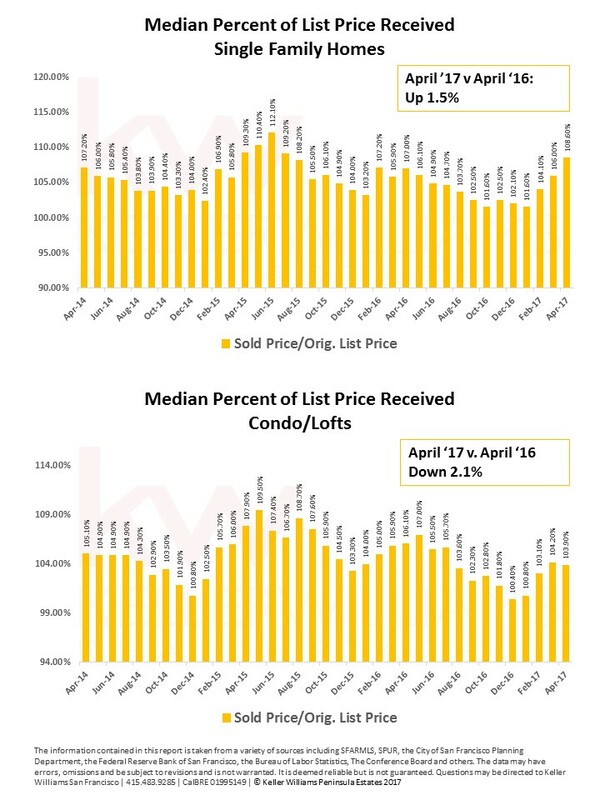 Condo/townhome buyers were even more aggressive, driving the median overbid to 108.6% of list price.